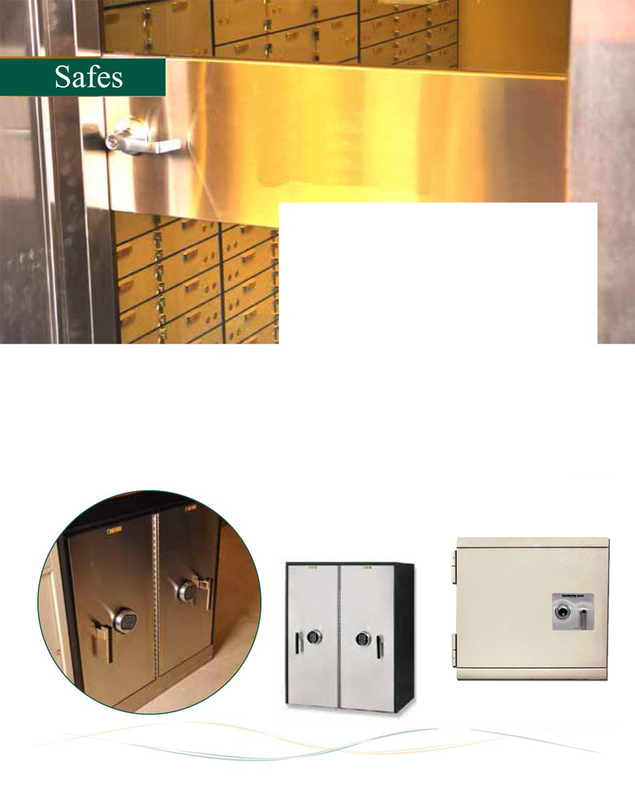 BD&E provides under counter safes, highly secure cash vaults, currency lockers and secure management chests. Many items are available in custom and standard sizes. Versatile safes and security chests provide your branches with flexibility plus attractive design finishes to meet any decor from contemporary to traditional. • Selection includes UL rated safes designed to withstand 30-minute attack using both torch and tools. Select high-security chests with two-hour fire ratings. BD&E specializes in the design, specification and expert installation of safes and vaults.